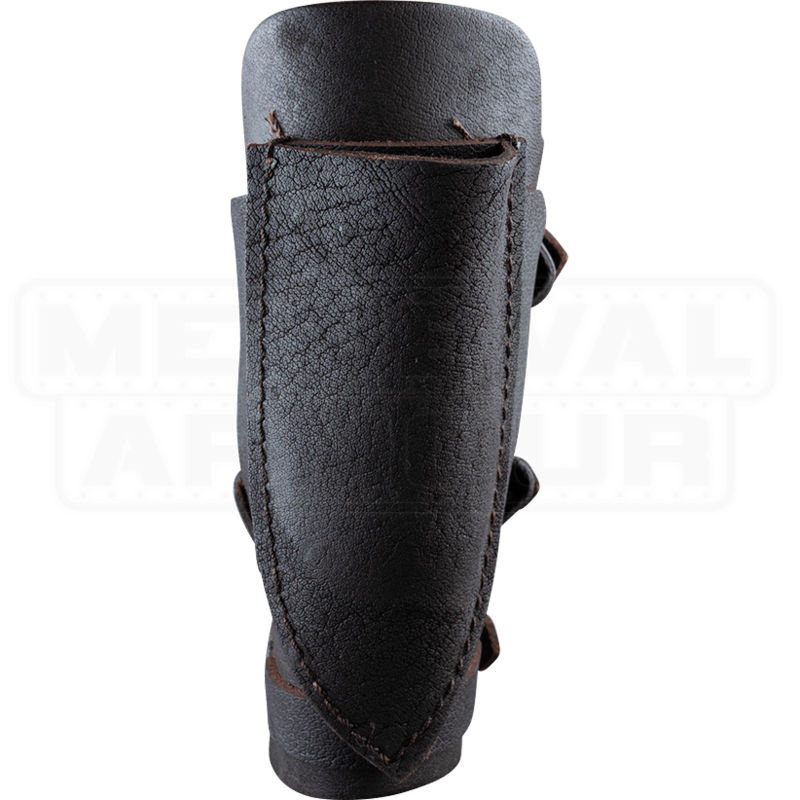 For the intrepid adventurer looking for a streamlined look, the Geralt Bracer with Throwing Dagger Holder is ideal for combining necessary equipment. It combines a sheath and bracer for convenience. Available in black or brown, this double duty item can be bought for left or right arm defense. Three sets of straps and buckles hold this sheath in place for better fit. Across the straps lays a leather strip and metal rivet detail. 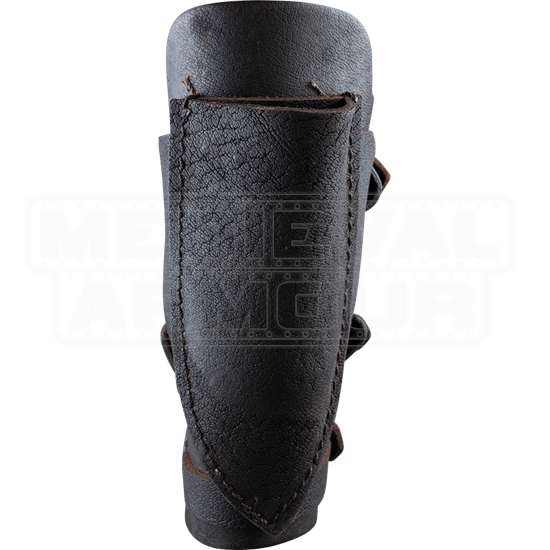 The LARPing bandit or mage commands any convention or faire with this versatile leather arm bracer.